Well, we had our first meeting and I think it was a success, with 13 people and 5 annual memberships (13.5 people is the break even point so not too bad) so if this carries on, we should be here to stay. If you are not certain whether we are for you, why not try us out next week? If any of the tables look familiar then that is probably because you used to go to the Cambridge battle bunker before GW shut it- they were all going to go in the bin, but we managed to get hold of them and put them to good use. We will be adding to and improving them as time goes on, but we can have 20 people gaming with what we have now, better than anything you will find anywhere else in Cambridge. We had games of Warhammer 40k, Malifaux, Warmachine and Puppet Wars running, and we hope this is just the start. 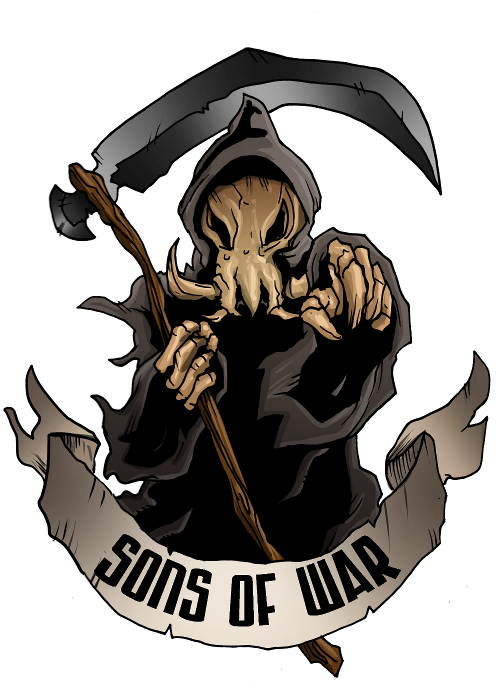 My fellow committee members have told me I will be forced to play inferior non-GW gaming systems on pain of death…oops, my slight GW bias may be creeping in… what I meant was I will come to love them all for their many faults features. Seriously though, I will happily give them a go as I have not really had the chance with only getting to game at GW. I am also looking forward being able to use any miniatures in any games I want. 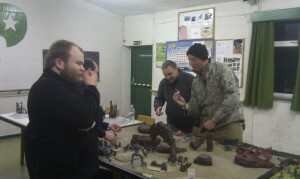 So bring along whatever you want, board games, GW specialist games, wargames, you name it. 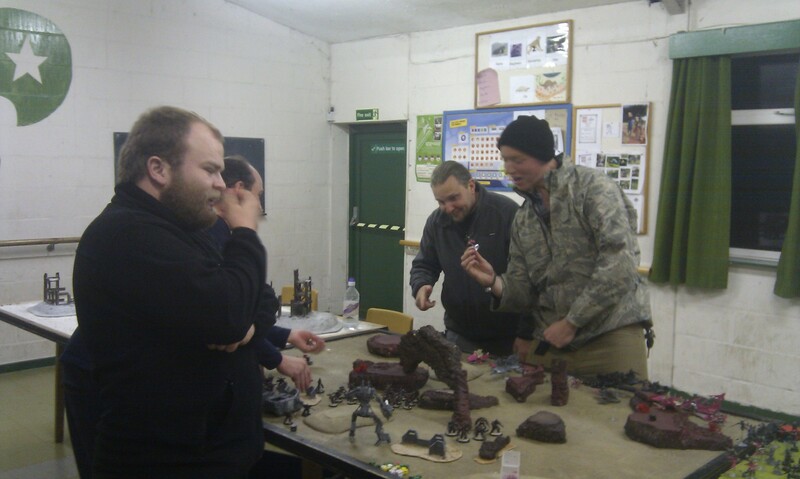 Gaming, friendly people, food and drink (well cans, crisps and chocolate bars…) and a large hall with lots of tables and terrain- what more do you want? 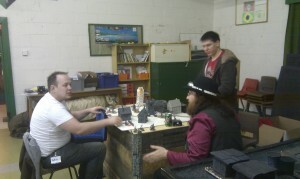 Come along and try us out, and sign up for our forums while you are at it, to arrange a game before you even get here.